You should treat this release as a beta test, then fix anything that's been found then do a full release when it's all perfect. I might be late to the party, but I just finished the mission and although I enjoyed almost every minute it still puzzles me, because - apart from the introduction - there is no context given (no readables in the mission). So I finished the mission, but I am somewhat unsatisfied with the result - what did I just see there? Why? So, if you consider an update of the mission, please include some readables. Because, you know, it is never about the loot, but always about the story and the involvement. For everyone complaining about the ambient being too low. Open the pk4 file with Winzip, open the .map file with Notepad++ (Notepad will choke on a file over a few megabytes). Change the _color to "0.050 0.050 0.050"
Winzip will ask if you want to update the archive, click yes. Wait while Winzip/PowerArchiver rebuilds the archive and you're all set. It seems like a lot of steps, but it's really not. I personally use PowerArchiver as it's amazing compared to most other Zip programs. EDIT: I also tried a value of 0.080 and that seems more in line with what I'm used to in most missions. But like the author said, it was done on purpose but that doesn't change the fact that you can modify the map how you want. No DMAP is required with this change. Played this last night and now. Feels like my mind was raped. Ow, yep, It hurt a bit, but I kinda liked it in a perverse manner, in the end. HUGE mission. I do not know when was the last time I was hopelessly lost in a computer game. I've pretty good sense of direction, but this mission had me completely stumped. In general I do not like being lost. But it is so rare, I decided to embrace the feeling of being hopelessly lost. I wandered around, found the castle. Wandered wandered wandered. Then I realized I do not have any idea where to go, and no map, so I started clearing areas out the guards so I could backtrack faster. That was fun gameplay. "Seems like any other night *THUD* Unhhh! *Stash body somewhere (not many places to hide them!)" Somehow I knew I had to go upwards. I do not know how, but somehow you managed to convey it to me without any directions. I guess I saw the wood planks in the ceiling and realized I have to go there. Also I heard a nobleman's voice from above and that's how I got the idea to go up. I wandered and wandered. It was very easy to get lost because the geometry did not make any sense. That was your intention, I got it immediately when I got to the warped reality part. Or when I found the water columns one can swim upwards. It felt like a nightmare, room after room after room that did not make any sense. Like a weird faerytale, or, well... a nightmare. I do not mean this in the negative way. This mission was art! My mind demanded some readable to explain what the heck is going on... but I never found it. And I guess that was a good thing, because a mystery left unexplained is more interesting than a mystery with 100% rationale. When I finally got to the nobleman I knew I was where I was supposed to be. The painting behind the nobleman is an indication that Spoonman, you are a genius. The painting was the final nail in the weird weirdness. I steered clear of the bosses and his adjutant and found the trinket. Next issue was to get out. I was lost, but somehow I had left landmarks: an open door here, looted table there, stashed body in the shadows here.... And I got out. And I ran back to the starting point exactly the way I came. I really paid attention because one missed turn would have got be lost again. I think I explored something like 10% of the mission. I know. It was probably smaller than that, but the geometry and style made it feel like it was procedurally generated and more and more corridors and guards would out from nothingness, endlessly. My description here might sound I did not like the mission. I did not like it. I didn't like The Sword either back in T1. Even if I didn't like the mission I loved it. Sounds probably weird, but that is the most accurate way how I can put it. This mission is a work of art that pushes the player way out of their comfort zone and messes up their mind. This mission generated a lot of feelings in me. And is what art is: it wants to convey a feeling. Here it was some kind of disoriented hopeless anxiety. Interesting piece of work. I'm glad I played it, even if my mind feels a bit frail afterwards. I'm with Sotha on this one. I loved this mission for what it was doing, but I was in mild screaming rage by the end of it all so I can't say I liked it. I think it was the fact that the place was crammed with guards, it's hard to enjoy atmosphere when you hear "Is dat somethin' over der?" every five steps after you've just got done hiding the fifth guard on that floor, and the layout means that you have no idea where they are, or even if they're on the same floor. I admit that by the end it was getting tedious. Still, very creepy layout and atmosphere, I honestly enjoyed the confusion and seeing what would come next. I'm sure I'll like it better on a second playthough. 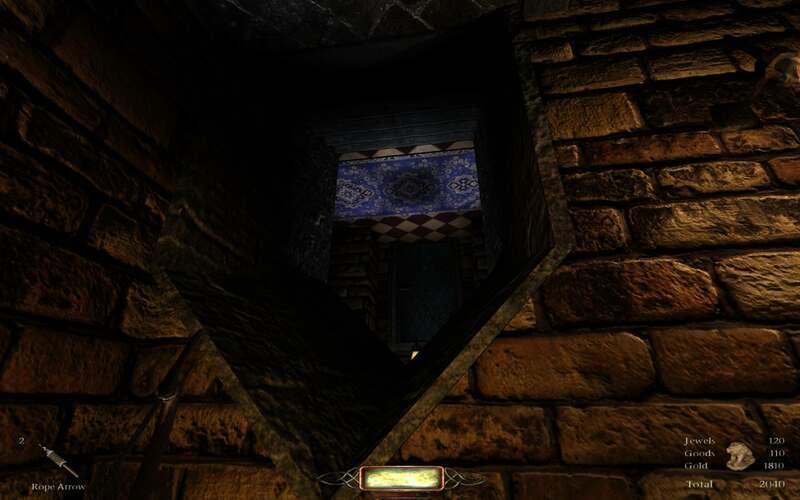 Sotha: You probably explored more than you thought; it's big, but a lot of that is the mission doubling back on itself and using generic and hard to tell apart connecting rooms. Still disorienting, but you probably saw most of it. Also those friggen fish can go die somewhere, eugh. Edited by The Dark One, 19 August 2017 - 06:44 PM. Because in mystery novels, the first suspect is almost certainly never the murderer. No matter how much unmovable evidence there is, it will all be smashed in pieces by the wrath of the remaining number of pages of the story. Spoonman/Level has given me permission to fix the bugs in the mission, so could i be cheeky and ask someone to collate all the bugs please..? This ledge in the upside-down area is not mantleable. As it stands now, you have to go all the way around if you want to see the other side which is incredibly infuriating. I recommend figuring out a way to let it be mantleable, or add some wood to the "ceiling" for rope arrows. Edited by GEPGUN, 22 January 2018 - 08:27 PM. Thanks AluminumHaste for the tip on changing the ambient setting. That's pretty cool. You saved this mission for me. I was going to move on to another mission because it was just way too dark. However, changing the ambient to 050 is perfect. I don't like to change my gamma setting just for one mission. Thanks! Edited by cavador_8, 25 March 2018 - 10:53 AM. Routing this mission in all seriousness gave me a headache. Great work on the nonsense, Spoonman, if you were seeking to make me constantly feel like I was on my back foot you succeeded. Edited by level, 04 March 2019 - 08:00 PM. 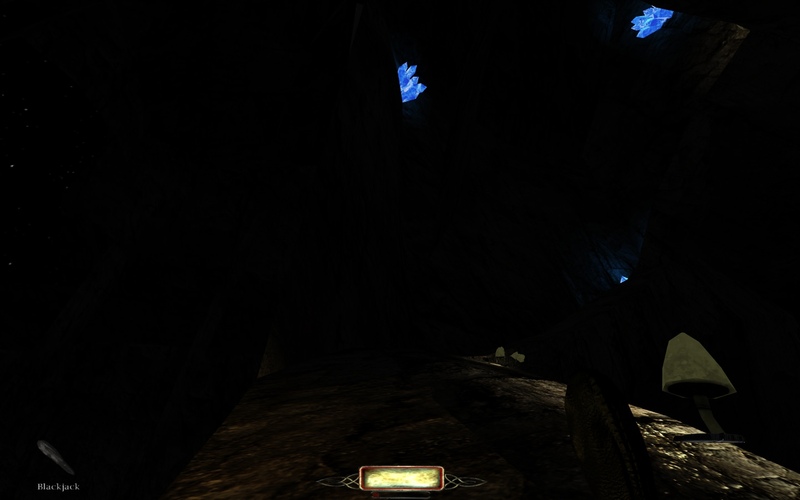 I will point out that Ravine is one of my all time favorite TDM mods. Spoonman did a fantastical job with the scope and variety of gameplay areas and supernatural elements. It had a bit of everything and felt like a couple different old style Thief missions all rolled into one. It's one of those TDM missions I can recall nearly everything about.